Big injuries are incredibly frustrating, especially if they put you out of action for months, but minor injuries are part and parcel of progress within most sports. Sometimes you just have to break through the pain barrier, grit your teeth and carry on until you hit your goal! 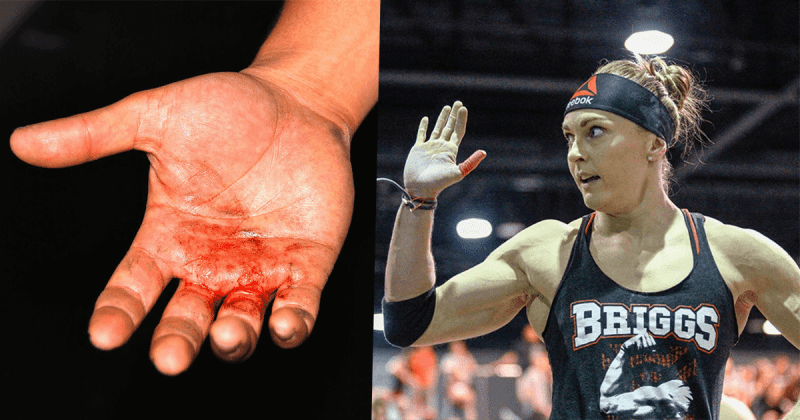 This is especially true of Crossfit, where we all know that incredible feeling of finally cracking your first decent set of unbroken Double-Unders, that elusive first Muscle-Up, or destroying a WOD in record time. When you finish the round, or put down the barbell after smashing a new PR, you look back at the small marks, cuts and bruises, and realise that they are small signs of victory, tiny reminders that you are becoming stronger, fitter and more mentally resilient than you were yesterday! 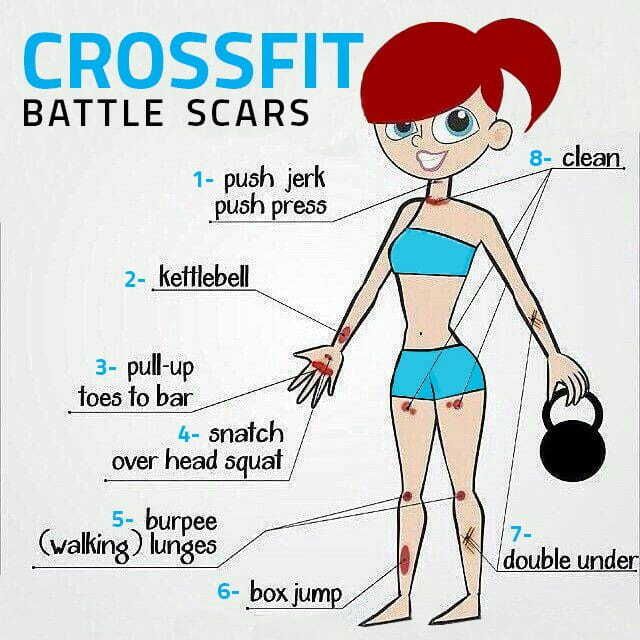 They are battle scars. Sometimes happens if you are working at high speeds, and the barbell grazes you during its movement. This is one of those little scrapes that you never notice until afterwards!